GAP Insurance: Why Do You Need It? GAP Insurance, it's something you normally first hear of from your car salesman, but what does GAP Insurance actually do and why is it a good idea? GAP Insurance covers the difference between how much you originally paid for your car and the amount your insurance company will pay you in the event of a write off or theft. It's worth noting that when you buy a brand new car it's worth its most at the point of purchase, but your insurance company will not usually pay this amount if you write the car off. At MotorEasy we like to make things simple so we have put together this handy guide to the basics of GAP Insurance (or guaranteed asset protection, to give it its proper name), why do you need it? How does it work? Which of MotorEasy's products is best for you? Motoring journalist, TV presenter and racing driver Rebecca Jackson is here to explain why you’d consider GAP Insurance. Buying a brand new car is lovely, but we all know that as soon as we drive it off the forecourt it's value starts to rapidly drop. Should you suffer a write off or theft your insurance company will often only pay out the current value of your vehicle - which is likely to be a lot less if your car is brand new. If you choose to buy GAP Insurance this will cover the difference between the price of your car at the time of write off or theft and the amount you originally paid for it. When Is GAP Insurance Needed? You can take out MotorEasy GAP Insurance at any time after you've bought your car. We have three products that can be used if you've just bought the car (new or used), have owned your car for a while but haven't got around to taking out any GAP insurance, or if your car is on finance. It's also a good idea to buy GAP if you have just bought a car you know will depreciate faster than others, as GAP Insurance will top up any insurance payout in the event of a write off. What GAP Insurance Is Best For You? Luckily for you, MotorEasy works out the best GAP Insurance for your car and situation to make sure you get the best GAP cover at the best price. You might think it's just easier to buy it from the dealer while you're there but you'll save 75% by buying with us rather than with your dealer, for exactly the same cover. This bridges the gap between what your insurer's payout will be and the balance needed to buy a replacement or similar vehicle, protecting you against any price inflation that may have occured since you bought your car. This covers the difference between your insurer's payout and either the price you originally paid or the amount needed to settle your outstanding finance balance, whichever is the greater. Covers the difference between your insurer's payout - based on the current value of your car and its value at the inception of your GAP insurance policy. Where Can You Buy GAP Insurance? As mentioned you can get your hands on GAP Insurance when you purchase your car from a dealership, but they will often quote you a price that will make it seem like an expensive option. They are however now duty bound to tell you that you can get this handy cover elsewhere - which is where MotorEasy comes in. We can save you up to 75% on main dealer pricing whilst offering you exactly the same level of cover. Well, this depends on how old your car is and how quickly it depreciates. If you have just bought a brand spanking new car it's definitely worth having GAP Insurance - as soon as you drive your shiny new ride off the forecourt it is reported to lose 30% of its value something you won't get back. You might also want to consider it if you live in one of the UK's most dangerous places to own a car or if it is one of the top 10 most stolen cars, these two examples are a no brainer - obviously we recommend that you get GAP Insurance whatever car you have up to 8 years old and 80,000 miles. "car is stolen due to you leaving the keys in it"
What Does GAP Insurance Not Cover? We said we were going to be honest. GAP Insurance will not cover you for these eventualities. If you write off was caused by someone other than yourself driving the vehicle without consent. If your car is a supercar, like a Lamborghini or Ferrari. If your car is stolen due to you leaving the keys in it or on it, any windows being left open or the roof down. What Is An Insurance Write Off? 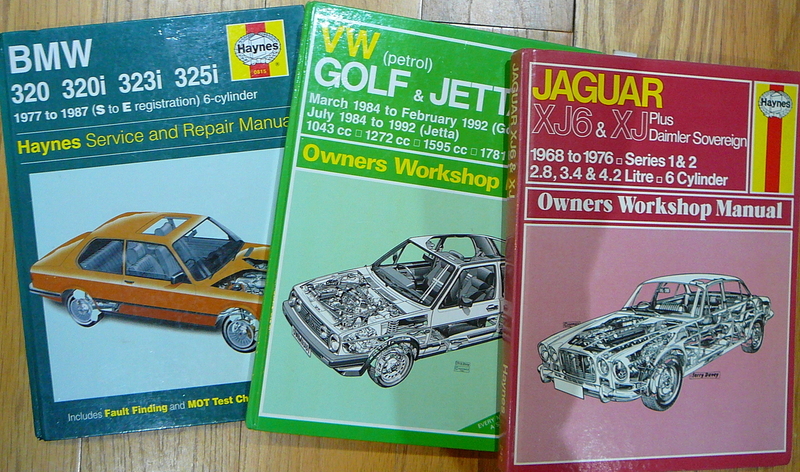 Haynes Manuals, there's nothing more reassuring or distinctive. The amateur mechanic has always believed, and it's often found to be true, that the answer to the mechanical or electrical problem, they are struggling with, is contained in those pages. Buying a new car with a fresh plate couldn't be easier. You go to your local showroom choose the spec and colour, pay a deposit and then wait for the dealer to tell you when it's ready. You can even buy a new car online if you don't want to visit a dealership. Except that you should give it a bit more thought, there are more options and buying help than at any time in car history. 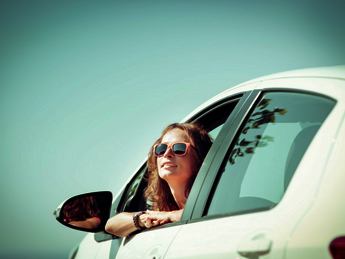 What New Car Is Best For You? Only you know which new car fits your family and whether diesel, petrol, electric or hybrid is best for you. Read our MotorEasy blogs and features on choosing the right new car, because creating a shortlist of suitable cars is crucial. You also need to bear in mind running costs such as insurance group and servicing. 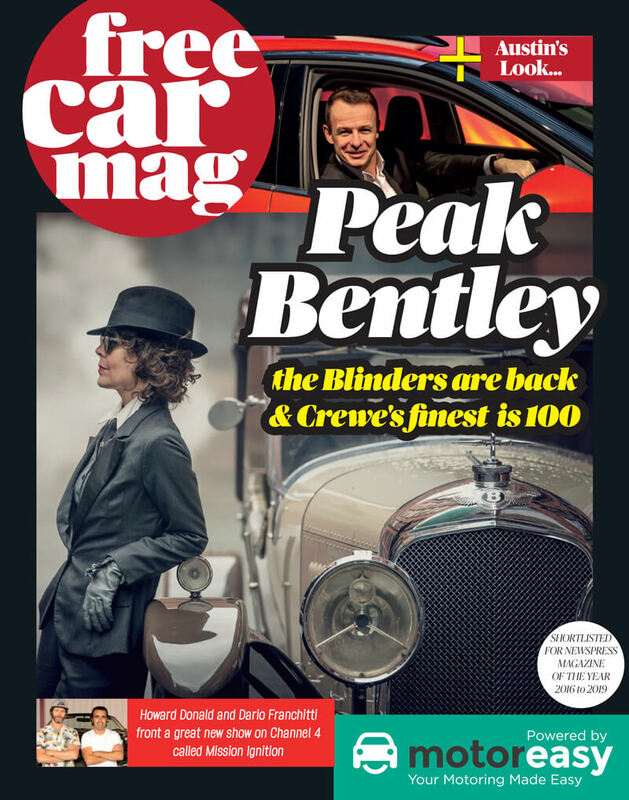 Go online and read car magazines, join owners forums to find out more and ask for advice. Which new cars are reliable? What are their ownership experiences? What faults have past models had? How much should you be paying for car insurance? Set a realistic budget based on your circumstances for either an outright purchase or for monthly payments. Don’t forget about the incidental running costs of servicing, fuel and insurance. Some of this may be included in certain contract hire agreements or buying packages. Get as many quotes as possible and always compare like for like, with the same models and specifications. Where To Find The Best New Car? Go out and look at dealer forecourts, and because you now know what the best prices are from your research, start playing suppliers off against each other to get the lowest and best offer. Start with phone calls and emails. Dealers in particular don’t always give best prices on the phone, face-to-face is always better. Haggle, tell them what's available elsewhere and what you want to pay, they hate that. Ask them what their best price is. If they want to waffle on, simply walk away, they'll soon run after you if they want your business. Be polite but firm and always stick to the budget you set yourself, say what you have to say and then be quiet. Can You Afford New Car Finance? A dealer may cough up a decent discount but then claw money back with a pricey finance package. Ideally get the price you want and then shop around for a better finance deal which could well be available on the high street or online, compare annual percentage rates APRs and repayment periods. Someone quoting a flat rate isn’t good enough. Some dealers may have zero percent finance deals, although you often have to find half as a deposit and pay it off quicker. Repayment periods vary. For example £200 a month over three years is £1200 more than two years at £250. Quoting weekly payments is a way of making large sums seem smaller and easier to pay, always do the maths. Another opportunity for a dealer to make money is by offering you a low part exchange price for your car. Ideally try and sell privately before you go near a showroom. Online buying services may well give you a fairer price, if you wish to sell your car quickly. A good broker will do it for you. They source cars from UK main dealers. You pay the dealer direct and collect it from them and the dealer will pay the broker a commission. You should get a better discount than you could negotiate. Find out where the car is coming from and don’t pay a deposit to a third party. You can also use MotorEasy car leasing comparison, cutting out the brokers price and finding the best leasing deals around you. Remember to protect your new car with MotorEasy GAP Insurance thereby protecting your investment if it gets stolen or written off. Plus, you'll save up to 75% off dealer prices! Buy A Car Online - Would you do it? If you bought a new car three years ago then you should be gearing up to take it for its first MOT, and it could also be due its first service out of warranty. Book the two appointments at the same time and you can save up to 40% compared to booking them separately as you'll avoid jobs being repeated. Plus, if you protect your car with a MotorEasy car warranty you can avoid any expensive and unexpected car repairs even for failures found at an MOT or service. Your MOT might result in a new tyre or two and a set of brake pads, but expenditure shouldn’t be too heavy, unless you’re a higher mileage driver that burns more rubber. More cars are sold in March than at any other time of the year as brand new car regs are bought in. This means that if your car is turning 3 you should be sure to book well in advance to avoid any delays. For best results we advise getting a test done 3 weeks in advance. This leaves time to source affordable repairs before your old MOT test expires. As your car turns three this means you're leaving behind the protection of the standard 3 year manufacturer warranty protecting you against mechanical or electrical faults arising. Today’s cars are generally more reliable than they have been, but when they go wrong they can make a nasty hole in your budget. MotorEasy knows this, because we’ve picked up bills for thousands of motorists who've been smart enough to protect themselves from the unexpected - from just £20 per month. "40% of cars require repairs of some description in their fourth year"
Why Do You Need A Car Warranty? It’s no coincidence that the majority of manufacturer new car warranties last for three years or 60,000 miles, because it’s after this time that the expensive bits start to go wrong. The last thing a manufacturer needs is to start paying-out for repairs on a car they sold more than three years ago, so you’ll be on your own. MotorEasy’s warranty experience reveals that some 40% of cars require repairs of some description in their fourth year and this is just the start. As well as your car's first MOT and extending its manufacturer warranty, you should also look to book your cars first major service. It's recommended that after three years the mechanical functioning of every part of your car is checked, and MotorEasy can help with our engineer monitored services. We'll take care of any garage hassle for you, making sure any repairs are necessary and at the best price. Help! I Don't Know My MOT test Date! Drive to work? Then you could potentially have to pay £1000 a year for the privilege. Most of us heard about the Duke of Edinburgh's accident and subsequent giving up of his licence, but could you see him on the track instead?